What a pretty mix of pansies and white hydrangea flowers! 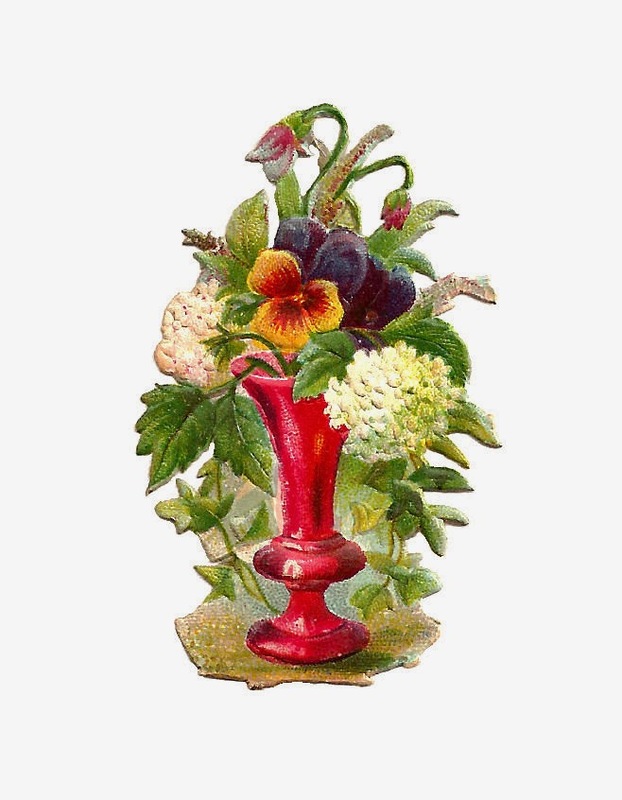 This is a little Victoian scrap of a red vase full of a beautiful mix of flowers. I just love how the flowers and vines in the background are flowing over the vase. It's so lovely! 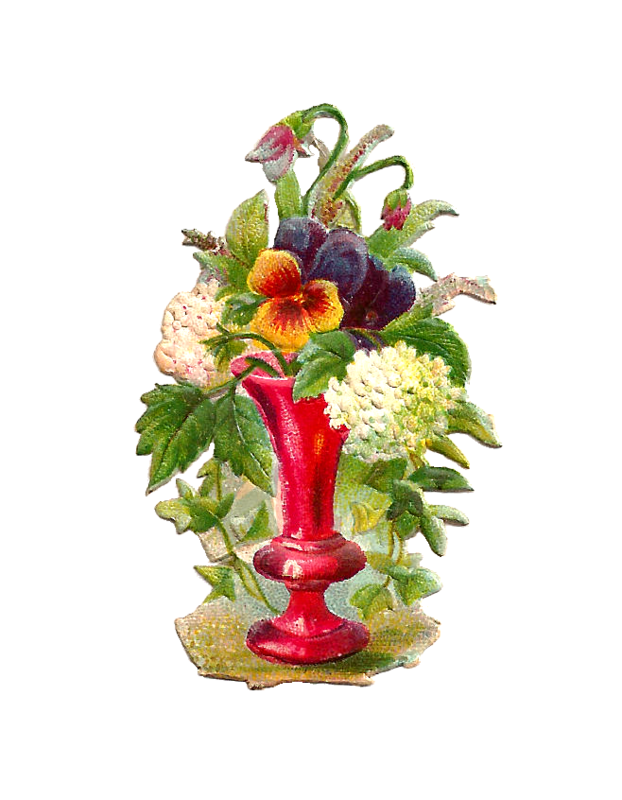 I've posted another wonderful flower vase image here. I've given you both the .jpg and .png files of this flower image. I hope you enjoy!